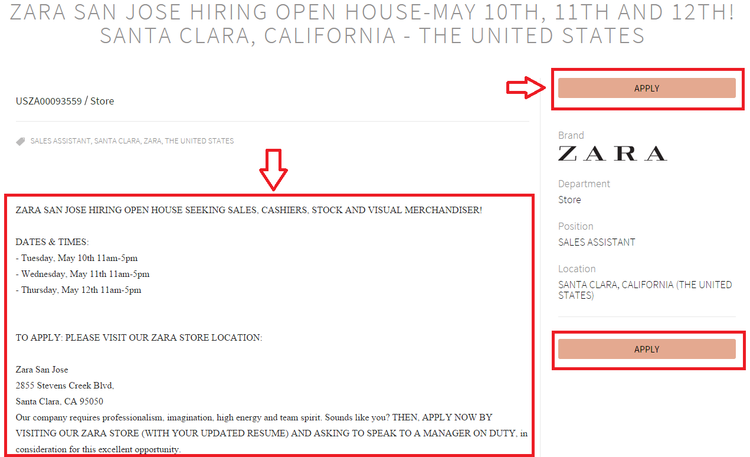 To legally apply for a job at Zara, you should first visit its careers official website: http://www.zara.com/us/en/info/company/work-with-us-c18003.html to get started. 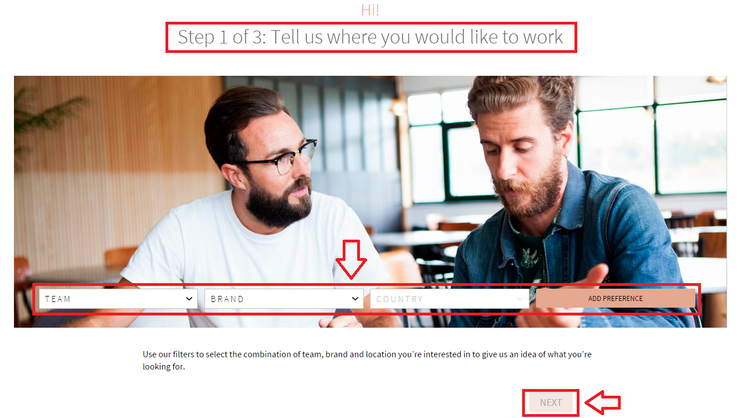 Then click the "international employment portal" button in the middle of the page to enter the next step. The website provides applicants with a search platform. 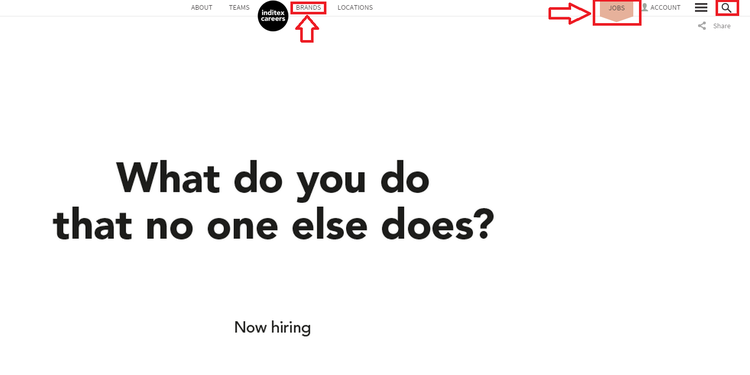 You can either browse all job positions by clicking the "JOBS" button at the right top corner or choose one of the brands owned by the corporation by clicking the "BRANDS" button. Applicants can narrow the job search by selecting a specific department, job type, brand and working area. After filtering all the criteria, you can get a list of job openings below. Choose the one you like most and click on the job title to get entered into the application page. Know about the job details before applying. Read the given information on the page carefully to see whether you are qualified or not for the position. If you are qualified enough for it and you are also interested in this job, just click the "APPLY" button to start! Are you not registered with Zara yet? If yes, you should first create an personal account. If no, you can simply enter your email address and password to log in. There are 3 steps to complete the registration process: choose your job preference, provide personal information, add your availability for job. After creating an account, you will receive an confirmation email. Set up your password and log in your account. Uploading an proper resume for the position you are applying for to complete your application for Zara jobs. Once completed, you need to wait for the employers to contact you later. 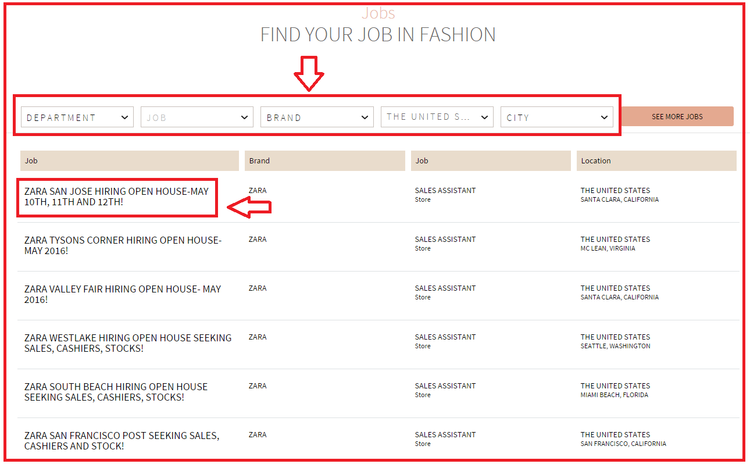 Click zara.com/careers to apply for Zara jobs online.